Where are strawberries reportedly produced with trafficking and/or child labor? According to the U.S. Department of Labor 2016 List of Goods Produced by Child Labor or Forced Labor, strawberries are harvested with child labor in Argentina. The U.S. Department of State Trafficking in Persons Report ranks Argentina as a Tier 2 country. U.S. Department of State. Office to Monitor and Combat Trafficking in Persons. Trafficking in Persons Report. 2016. https://www.state.gov/documents/organization/271339.pdf. What does trafficking and/or child labor look like in the production of strawberries? Mexico, which accounts for 95 percent of United States imports of strawberries, has high rates of child labor in agriculture. There is limited evidence linking child labor directly to strawberries. Mexico produced 458,972 tons of strawberries in 2014. The Mexican government estimated that 2,475,989 children and adolescents between the ages of five and 17 were working in 2015, 16.5 percent of whom worked in agriculture. A 2015 study estimated that the number of employed youth was closer to 3.6 million. Approximately 1.3 million of Mexican child laborers work in hazardous or illegal conditions. Among child laborers, 86 percent did not attend school, and 42.5 percent worked for no pay. The United Nations’ Special Rapporteur on the human rights of migrants reported that there were 12 documented deaths of migrant children working in agricultural harvests in northern Mexico in 2006, and criticized the Mexican government for being indifferent to child labor in the agricultural sector. Mexican berry pickers have reported wage theft, sexual harassment, and poor working and living conditions. Strawberry production often utilizes high levels of pesticides and is very physically demanding, leading to illness and injuries among workers. There are anecdotal accounts of child labor and exploitation, as well as indicators of forced labor, in strawberry harvesting in the United States. Strawberry harvesting in the U.S.is highly dependent on migrant workers due to the time sensitive nature of the harvest. Children of migrant workers may accompany their parents to the fields, particularly when they are not enrolled in school. Further, strawberry harvesters are often paid a piece-rate wage, which means that slower workers may struggle to make minimum wage. Children may work in strawberry harvesting to augment family income. Berry workers in Washington state, often migrant workers, have been attempting to unionize in order to increase wages, improve sub-standard and cramped housing conditions, and prevent wage theft, which is reportedly common. The U.S. Department of State 2015 Trafficking in Persons Report noted an incidence of migrant workers on a strawberry farm in Greece denied pay for six months, although the broader scope of exploitation in the country is unknown. The U.S. Department of State 2017 Trafficking in Persons Report noted that Greece had indeed failed to defend these Bangladeshi migrant workers from forced labor, per a verdict from the European Court of Human Rights. Marosi, Richard. “In Mexico’s Fields, Children Toil to Harvest Crops that Make it to America’s Tables. Los Angeles Times. December 14, 2014. Food and Agriculture Organization of the United Nations. http://www.fao.org/faostat/en/#home. After harvesting, strawberries are either frozen or shipped directly to companies, who further process the berries or deliver them as-is to retailers, restaurants, institutions, or other organizations. If the strawberries are processed, they are made into syrups, jams, and juices. Community Food Security Coalition. Leveraging Institutional Dollars for a Just and Healthy Food System – Strawberry Supply Chain. June 28, 2013. How do Trafficking and/or Child Labor in Strawberries Production Affect Me? Strawberries are the fifth most consumed fresh fruit in the United States. In 2016 the United States was one of the largest importers of fresh strawberries, importing 364.7 million pounds. Global strawberry production increased by 13 percent in recent years to 4,516,810 tons. Boriss, Hayley, Henrich Brunke and Marcia Kreith. Commodity Strawberry Profile. Agricultural Issues Center, University of California. March 2006 (Updated in 2014 by Naeve, Linda). 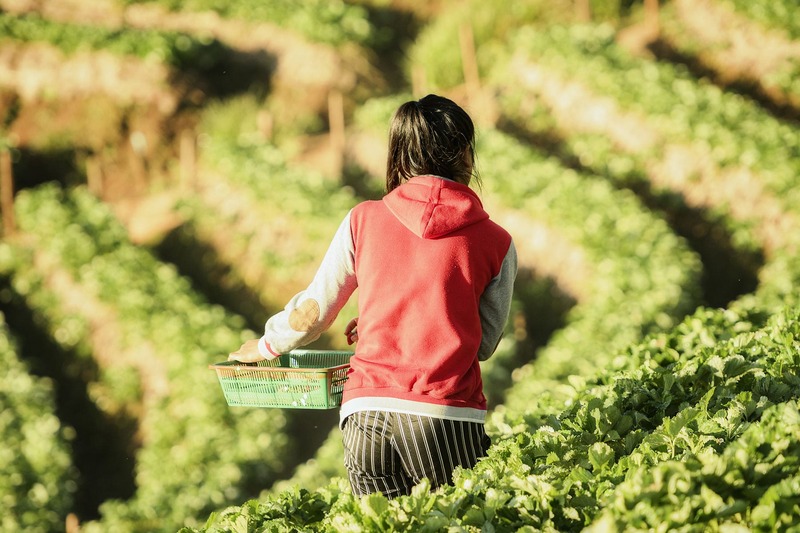 In Argentina, a network of businesses and NGOs coordinates to reduce child labor in agricultural sectors, particularly in cases where children are working alongside their families. Identified child laborers are provided with educational and recreational opportunities. The U.S. Department of Labor noted in 2015 that Argentina made drastic improvements in combatting some of the worst forms of child labor, including laws around education, especially in rural areas with high agricultural production. Watch this video on child labor in strawberry fields in Washington (U.S.). Read the LA Times’ investigation into labor violations in the Mexican agricultural sector.